Today is International Children’s Book Day and we, in boboli, would also like to contribute with our grain of sand. It is a great day celebrated the world over when different initiatives are launched to foster the habit of reading in children. The International Board on Books for Young People (IBBY) has been in charge of promoting this day from 1967 onwards. It coincides with the birthday of the Danish writer, Hans Christian Andersen. Do you know who Hans Christian Andersen is? Andersen was the father of many of the most famous stories that exist nowadays. The Ugly Duckling or The Princess and the Pea are among the better-known titles. His books have been translated into more than eighty languages and have been used to make films, series and to write other stories. Most of his books were invented by him and characteristically are hugely imaginative, witty and sensitive. As you well know, the goal of our Summer Reading campaign is to foster reading among the very youngest. This is why we recommend books, explain creative ways of reading and organize workshops in relation to reading. We want the little ones to discover the incredible adventure of reading books, the perfect excuse for discovering fantastic worlds hidden below the earth’s crust, heroes who can face the wrath of gods, dens of villains crammed with the world’s treasures and princesses astride steeds who save princes in distress. Books can be of many kinds. Ones that explore and discover. For smiling till you double up with laughter. Of sorrow. For looking under the bed just in case. Books that make you cry. Books you still do not understand. Those that that never end and others that end too fast. All you have to do is find your book! Are you familiar with that feeling of suddenly getting to the last page? That sensation of emptiness and nostalgia for the world we are about to leave. Remember, a book does not end at the back cover. You can talk about it, recommend it, lend it, share it… and it becomes eternal! Do you know how a little big reader is born? Children’s literature is the first step for passing on the passion for reading. 2nd April is the perfect opportunity for reminding the little ones of its importance so that they can take their first steps in the marvellous world of letters. Here is a small selection from the Penguin Random House Publishing Group which we hope you will enjoy as much as we did! 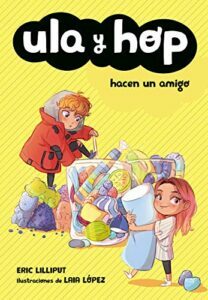 Ula and Hop are two very tiny friends who have grand adventures together. They are teeny weeny little beings who live secretly among us. Dani does not know that his house is full of these petite beings, but he is convinced that something strange is happening. He hears bizarre sounds, the toys get jumbled on their own and he thinks he saw one running about the room. Careful where you step! There may be some miniscule beings around! Isadora Moon is special because she is different. Her mom is a fairy, her dad is a vampire and she is a bit of both. 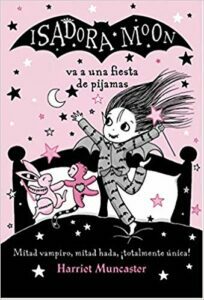 So, when her friend Zoe invites her to a sleepover party, Isadora is thrilled, she has never been to one before! Zoe and Isadora will make a cake, disguise themselves and then tell each other horror stories… With all of this, and a little magic, don’t you think it will be an extraordinary party? Isadora Moon is a charming and entertaining series ideal for young readers who adore flowers and spangles but who are also attracted by the mysterious world of vampires. 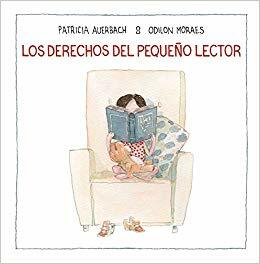 Adults have certain rights guaranteed when it comes to books and reading: they can read when they want, what they want and where they want. What about young readers? Do they have any rights? Little readers can be the protagonists, they can read a story a thousand times over or even start a new book before finishing the previous one. This album covers all those rights and has wonderful and dreamy images to guarantee that all children will enjoy reading in the very best of conditions. 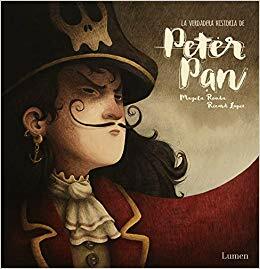 A lot of stories have been written on pirates, there are tales of mermaids and red Indians, accounts of lost children and extraordinary fairies, but there is only one story that tells all stories, because for as long as children are children stories last forever. And everybody knows that all children grow up, except for one… Peter Pan. This is his true story. And remember… a book has millions, trillions, an infinite number of adventures. All you have to do to open it to discover them.